A and I are having a few friends over for a little latke party on Thursday and I turned to one of my favorite recipe resources, Deb from Smitten Kitchen, for recipes. 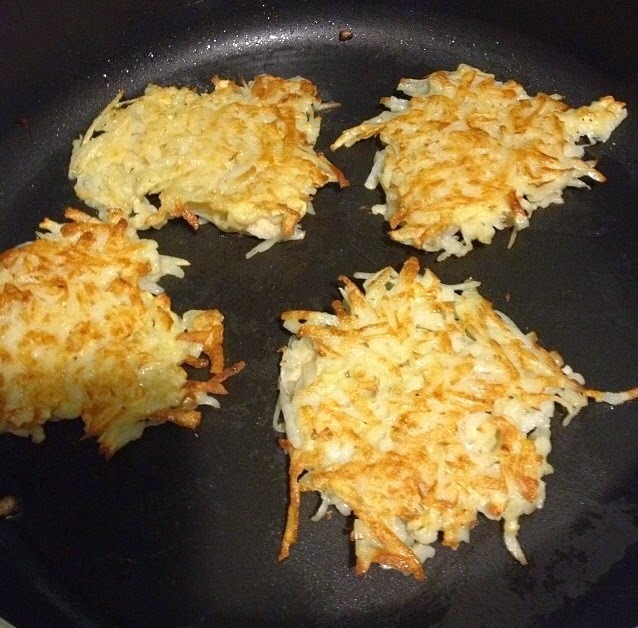 Last year in an effort to up my latke game, I followed this recipe and will definitely use it again. I will of course serve them with sour cream, applesauce, and smoked salmon, but I was at a loss for what else to serve. Well, Deb doesn't just feel like a friend talking to you from the blog (I have been known to talk to the computer while following her recipes), but she even responded to my tweet asking for recipe suggestions! Per Deb's suggestion, I'll also be trying out the pickled cabbage salad and making some tzatziki to serve with carrots. Can't wait to share the results next week!